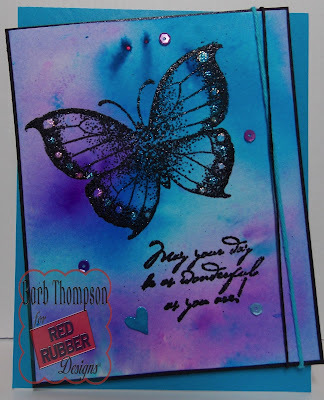 Barb here to share a watercolored background card featuring Asian Butterfly. 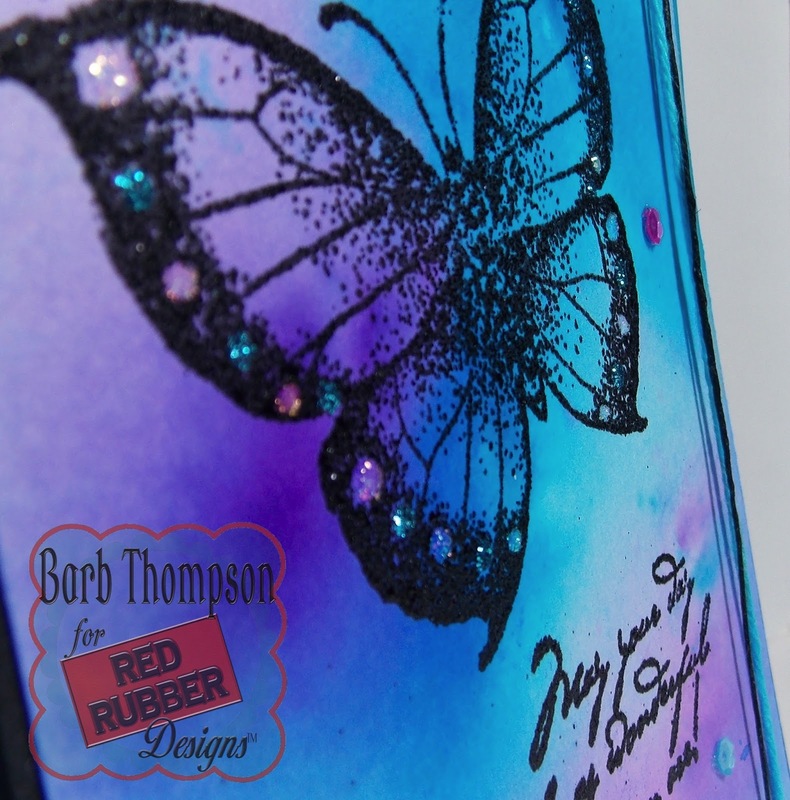 This is just a beautifully detailed butterfly! The background is just watercolored with powders in blue and purple on watercolor paper. 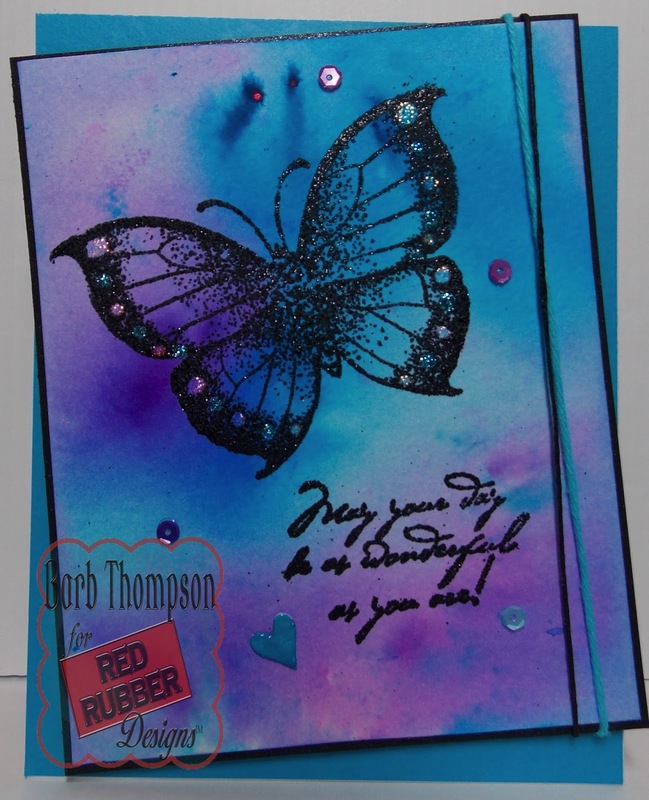 Then I embossed the Asian Butterly and sentiment with black sparkly embossing powder. I added some twine and sequins and backed the image with black card stock then mounted on blue card base. This is such a hot technique right now using a watercolor background with a beautiful open spaced image and sentiment. You can check out more amazing images in the Red Rubber Designs shop where if you spend $50 shipping is fast and free! So go check it out! week to see another amazing project from the team! Barb, this is so beautiful! Love the background for that gorgeous butterfly!! My order of powders just came in, can't way to experiment more! Lovely colors. It made into a beautiful card. So cool!! Awesome colors and embossing! !